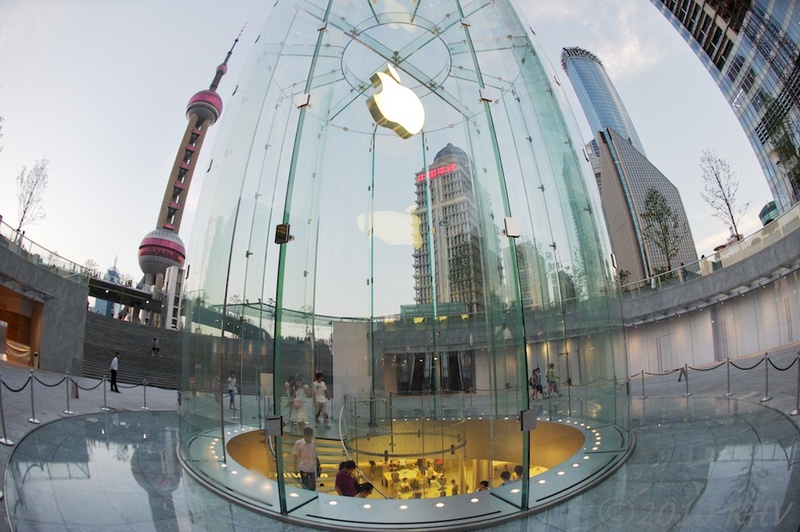 The Apple “Cathedral” in Shanghai. With a fish-eye lens. Spotting the Apple logo from afar. Last week I was staying at a hotel in the Pudong area of Shanghai. In my routine photowalk I happened to notice the Apple logo. 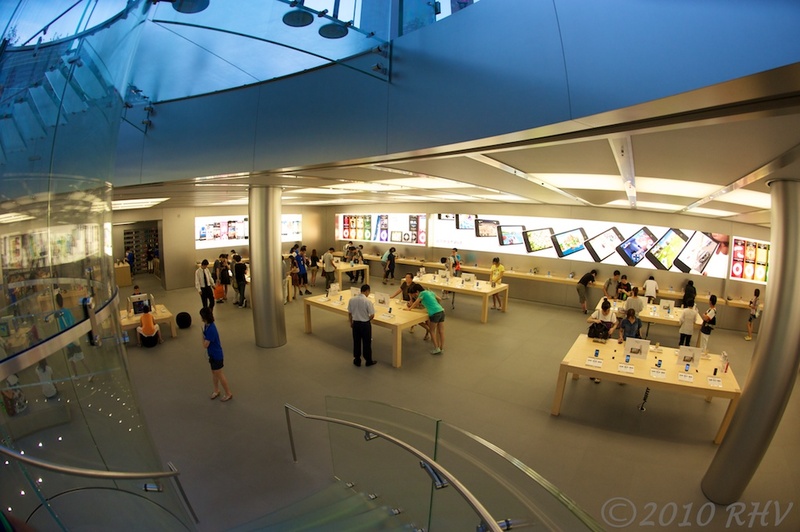 Being a partial Apple-phyte, I walked over to the glass structure curious of what it might be. 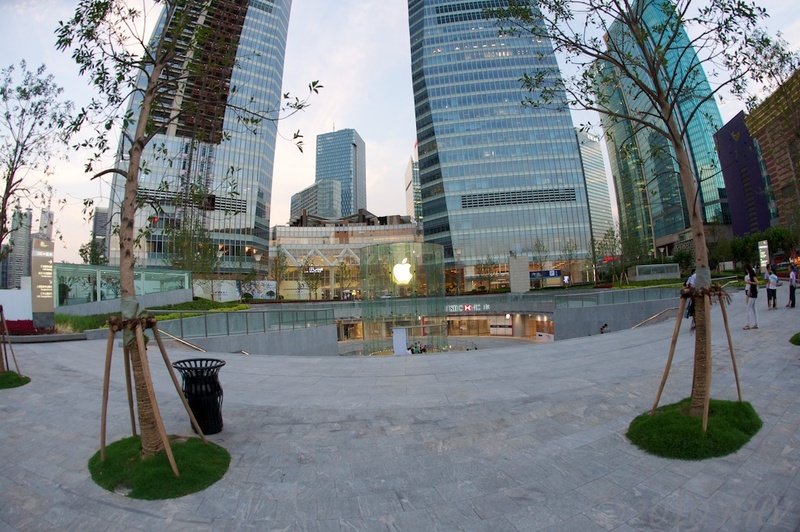 As it was in the middle of the plaza, I was a bit mystified until I got closer and noticed that the structure was the entrance to the Shanghai Apple Store located below the structure and the plaza. I did a quick walkthrough and then came back out for a few more photos. 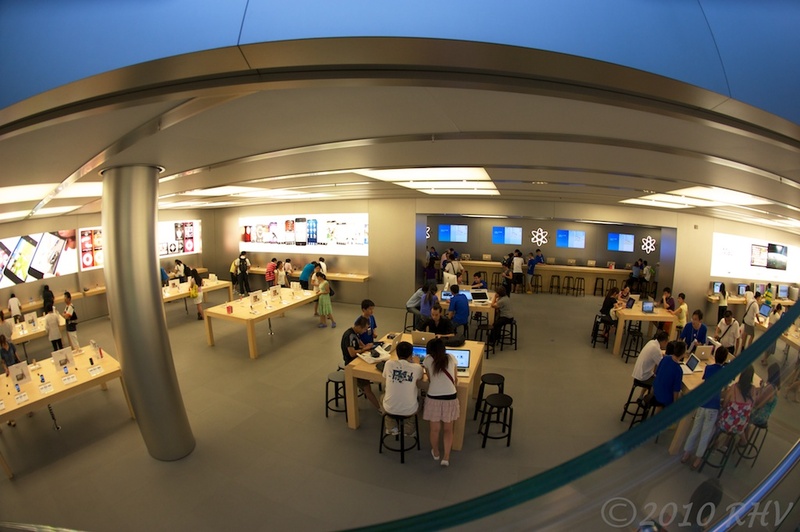 One quick spin around the store told me the Apple phenomenon is as strong in Shanghai as in many other locales around the world. 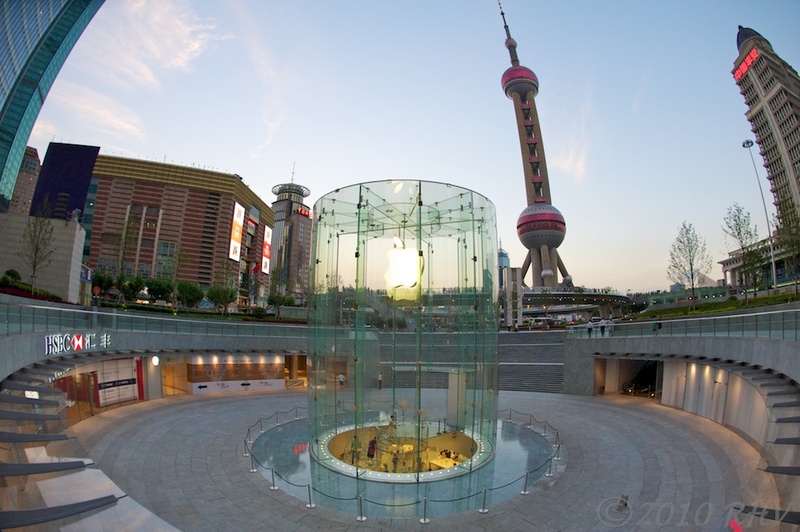 It bodes well for Apple’s future. And by the way, it’s design appeared similar to some modern cathedrals. Just substitute another icon for the apple and you get my drift. 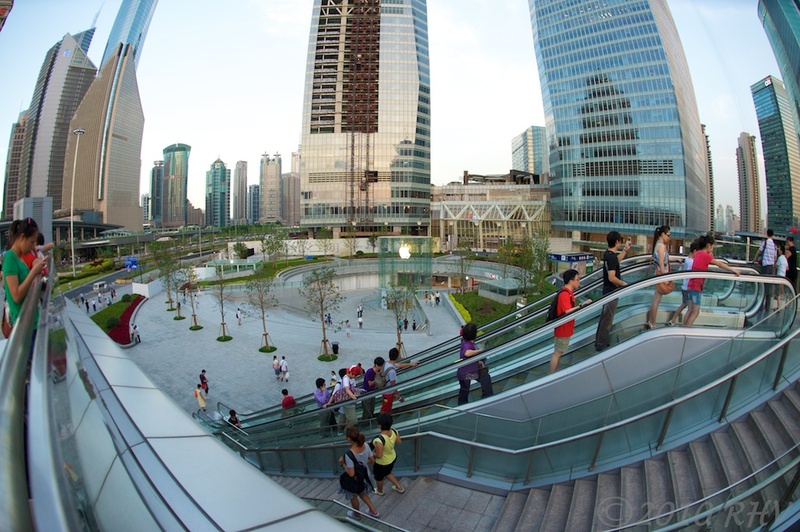 All photos taken with a Nikon D700 and Nikkor Fisheye 16mm f/2.8 lens. Shot from the spiral staircase. Shanghai icon dwarfed by another "icon". « Random scenes of trains in Japan.